Social media is all a flurry this morning letting me know that it is the 100 year anniversary to International Women’s Day. Only 100 years? Feels like we should have been honoring women since the dawn of time. 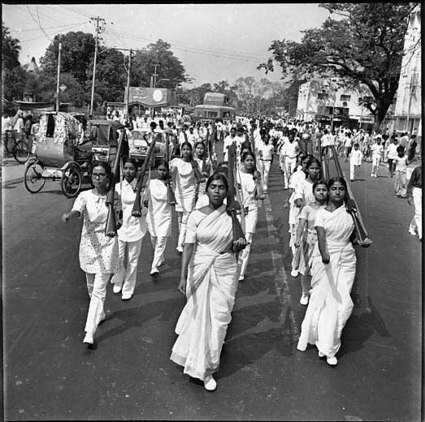 To celebrate the day, I wanted to post an iconic image that some of you may recognize from 1971 of the Mukti Bahini women of Bangladesh. I dedicate this post and this image to all the mothers, grandmothers and great-grandmothers out there, all fighters in their own revolutionary way. Posted on December 10, 2010 by V.V. Look at it. Blink. Yes, it’s really there: THAT is the photo the NY Daily News used to illustrate their sari patdown story. 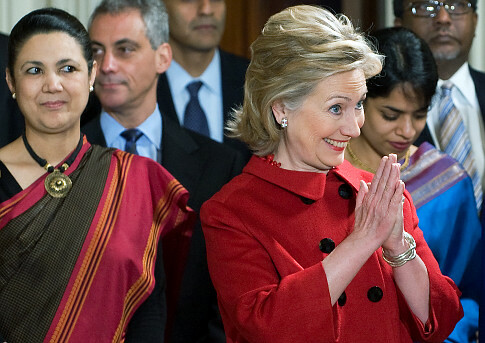 I don’t know which is better–the expression on Hillary Clinton’s face or the expression on Meera Shankar’s. Either way, it made me laugh out loud. Well spotted, Vivekster. And well chosen, NY Daily News photo editor. …Zuckerberg and more than a dozen past-and-present Facebook indispensables — including now-departed cofounders Adam D’Angelo and Dustin Moskovitz — trekked to a beach in Goa, India, for a week-long family celebration. 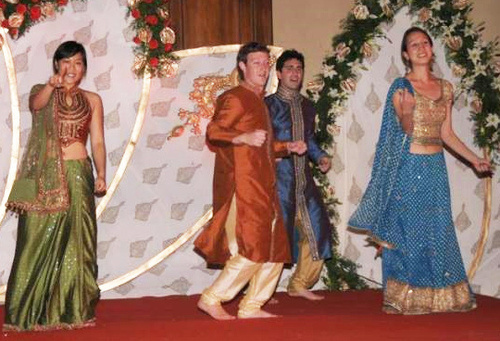 Everyone dressed in costumed splendor; Zuckerberg looked fetching in a maroon silk sherwani. Women flashed henna tattoos. The groom arrived on horseback. The photo above was one of five pictures from the wedding that were recently submitted to a photo contest on the Indian IT news site Techgoss. 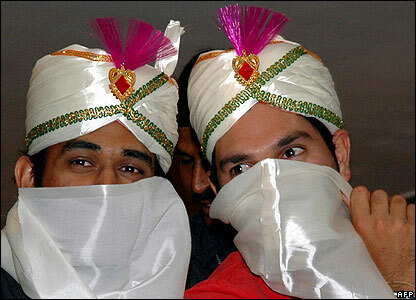 Receiving the photos was a big coup for the site, as they had unsuccessfully tried to photograph Zuckerberg both while he was in India for the wedding and during his 2008 trip to the country. Of course, the first thing I thought when I saw this photo was that it was the perfect entry for a caption contest. So have at it, Mutineers. Leave your wittiest and most creative captions below. 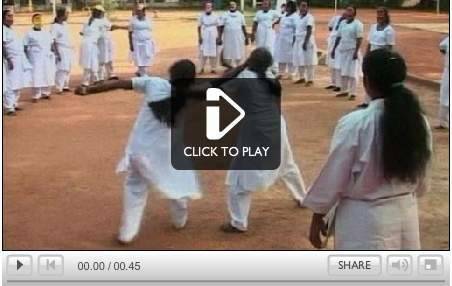 Click on the BBC video below and watch it WITH THE SOUND TURNED OFF. 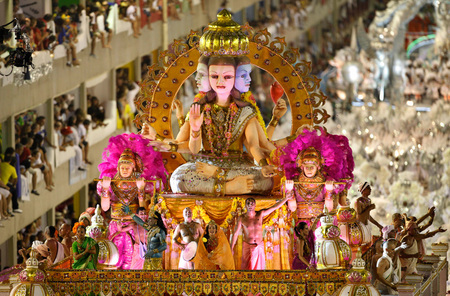 Then imagine that you are an anthropologist being sent to observe a strange custom/ritual. How would your notes read? It is Monday, and that means it is time for a ridiculously-delayed (the last one I posted was last fall, I believe) edition of your favorite way to commence the day– The Caption Game. Since the vast majority of us are hungover, bleary-eyed, exhausted pensively contemplating our sure-to-be productive work week, captioning a funny (or in this case excruciatingly cute) picture is a gentle way to ease in to Monday. This is little Avni and she is consuming an idli. 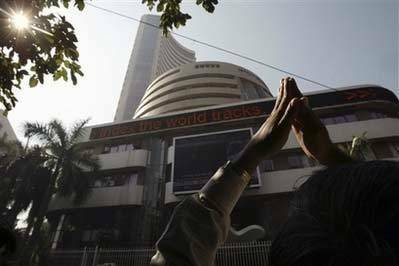 Avni, idli, idli, Avni. Adorable, no? Avni’s mom was kind enough to allow us to imagine funny things baby might be thinking, as baby noms on one of my favorite South Indian foods. Blogger Neha Viswanathan of Global Voices Online inspired all of this when Avni showed up on her flickr stream. I thank her for securing permission from Mother, baby and idli, for this post. 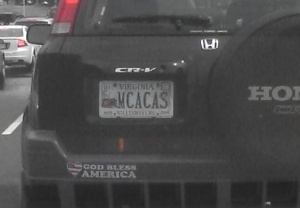 Just when former Senator Allen thought it was safe to leave the house, Wonkette reports a sighting of a car with a VA license plate reading MCACAS [HT: Blue]. Of course, a photo like this is just begging for a caption. Also, feel free to speculate as to whose car this is and how it ended up with such a vanity license plate. Do you think this is the Macamobile of S.R. Sidhartha himself, with its patriotic bumper sticker? I mean, hopefully he does satire. Or is it a tone deaf racist exclamation by a die-hard Allen supporter? Or perhaps it belongs to an aspiring DJ, an MC Acas? What say you, intrepid Macacans? Have at it Mutineers. Let’s see some of you drop your “lurker” status and creatively describe what is happening in these news pictures (all taken in the last 24 hours). 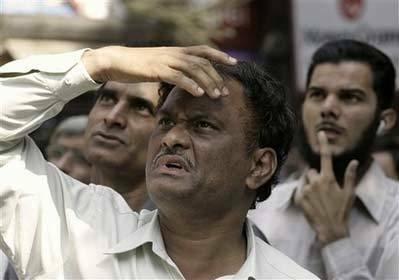 And no, the monster from the movie Cloverfield was not spotted in Mumbai in case that is what you were thinking. Okay, now that I’ve stood in the corner and thought about what I’ve done during my time-out, I half-heartedly apologize for being so insensitive as to vaguely reference a politically incorrect, wayyy-before-your…and-really-my time cartoon character/mascot. My bad. If it helps, it’s a rather obscure ref and I did change the “first name” to something browner (shout out to my friend Surjeet, who is sure to be THRILLED about this). Anyfoo. Monday came and went, with nary a caption game in sight; I blame you. What, on top of everything else in my disorganized, estrogen-powered day, I need to discover non-existent time with which to ferret out funny pictures? Well, if we’re relying on ME, then prepare for tardy everything (including me). I saw this on the BBC website yesterday and that is why we have an uber-late* CG today, which is THURSDAY for those who are either hung-over, a disciple of Rip Van Winkle or too confused to keep count.